(Bloomberg) – The African investment roller-coaster shows just how hard it has been to make bets on the continent pay off. After two years of declines, the region experienced growth in inflows of foreign direct investment last year, thanks to a revival of interest in South Africa and a more stable environment in Egypt. Washington-based Carlyle Group LP, which closed its $700m sub-Saharan fund in 2014, is still doing deals on the continent even after being scorched by a Nigerian bank purchase, recently investing $40m in online travel agency Wakanow.com Ltd. That’s a different approach to its New York-based rival, Blackstone, which blanked out Africa in slides showing its global footprint at a September presentation. Paris-based Societe Generale SA, which has operations in 19 African countries, has ambitions to double its share of revenue from the region to 10 percent. Egyptian billionaire Naguib Sawiris told Bloomberg TV on Tuesday that he is “very bullish” about Africa, especially in consumer financing. He intends to push the management of his Sarwa Capital SAE unit to expand to provide loans to individuals and small-business owners on the rest of the continent. Renault SA is considering an assembly plant in Ghana, joining Volkswagen AG and China’s Sinotruk International. The country last year overtook Nigeria, an economy six times its size, as the largest recipient of FDI in West Africa. Mercedes-Benz AG will invest €600m ($676m) expanding its South African plant, while Dubai-based DP World Ltd. is still looking at the continent even after having its stake in a port in Djibouti nationalised. South African President Cyril Ramaphosa, who is on a drive to secure $100bn in new investments to undo years of policy missteps and plundering under his predecessor, is finding that he doesn’t need to rely on traditional partners like the US or UK Saudi Arabia has pledged to invest $10bn in Africa’s most industrialised economy, and China $15bn. The country’s first deep-water discovery announced last week by French oil major Total SA may also lead to a rush of activity. Progress toward the implementation of a free-trade accord and a greater emphasis on boosting Africa’s manufacturing industry will lead to an acceleration in FDI, UNCTAD said. 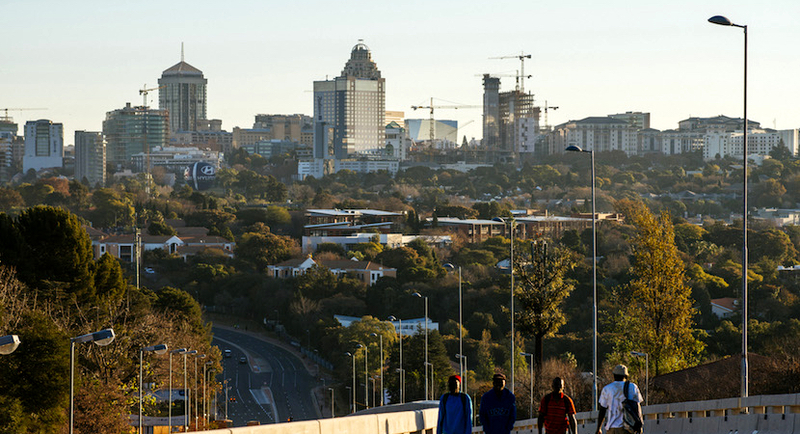 South Africa took the chunk of FDI to sub-Saharan Africa in 2018, grabbing an estimated $7.1bn from $1.3bn the prior year. Investments in Nigeria slid 36% to $2.2bn, although new oil and gas projects could lead to a recovery this year, UNCTAD said. Growth in Africa’s largest oil producer accelerated to 1.93% last year, the Abuja-based National Bureau of Statistics said Tuesday, from 0.8% in 2017 and a 2016 contraction. Ethiopia, despite a 24% fall in investment to $3.1bn, kept the top FDI spot in East Africa, it said.